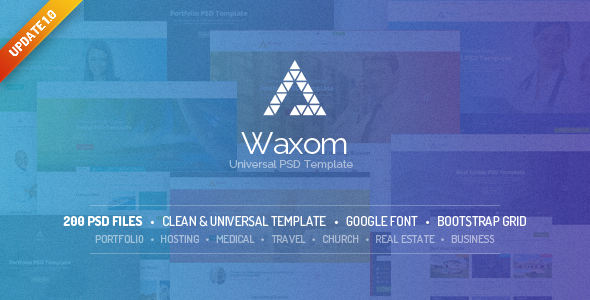 Waxom – Clean and Universal PSD Template for your projects. PLEASE don’t forget to rate it. NOTE: Images used in the preview are not included in PSD file. PLEASE don’t forget to rate it.